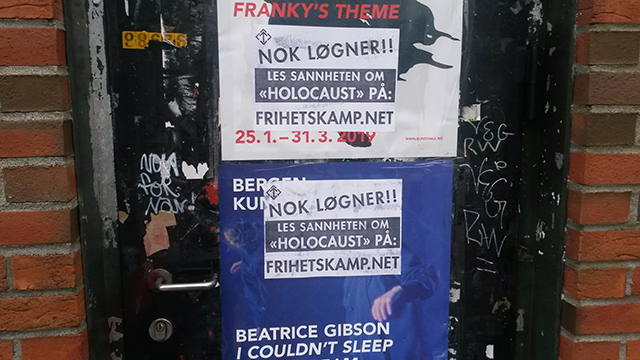 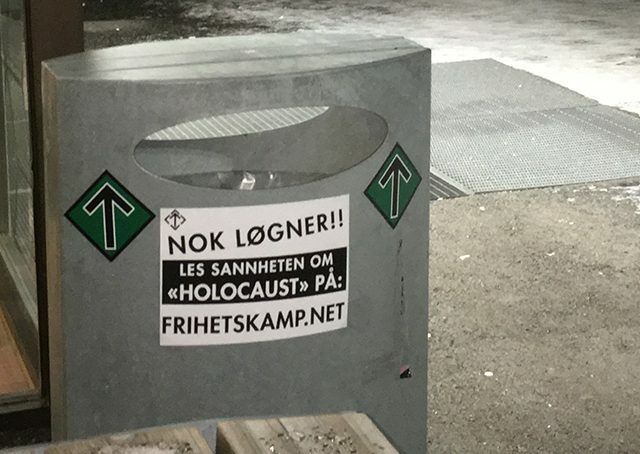 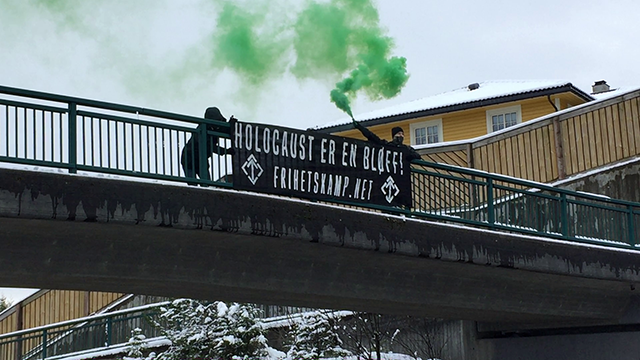 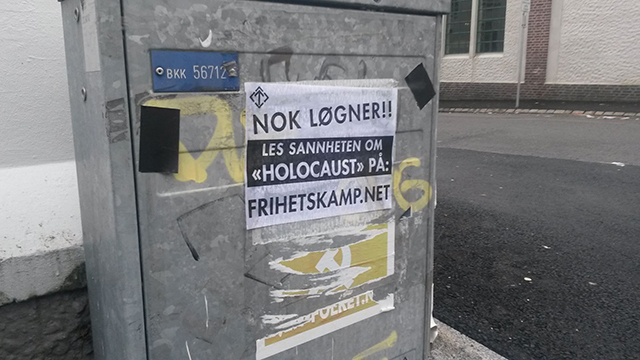 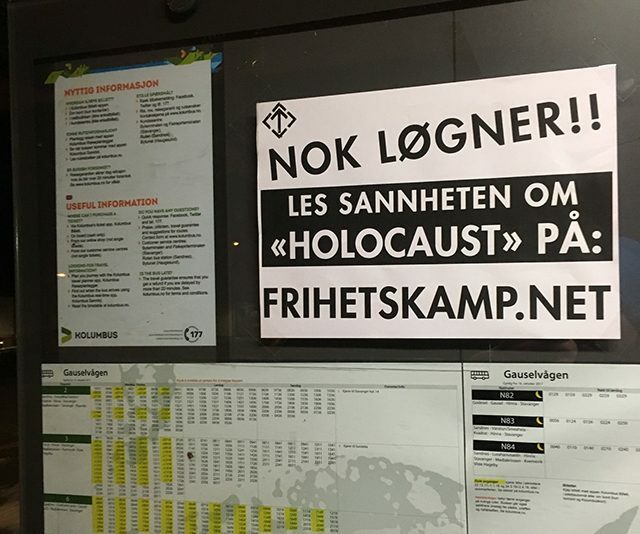 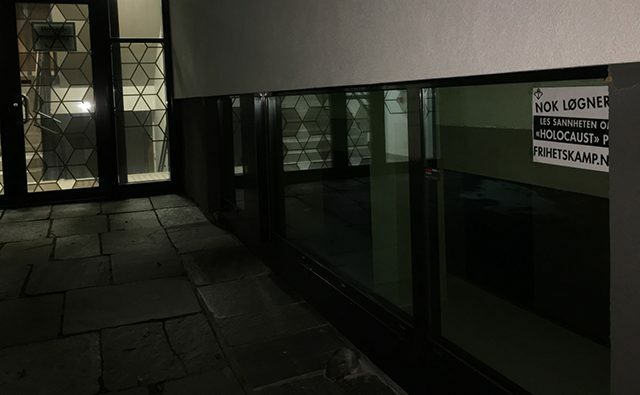 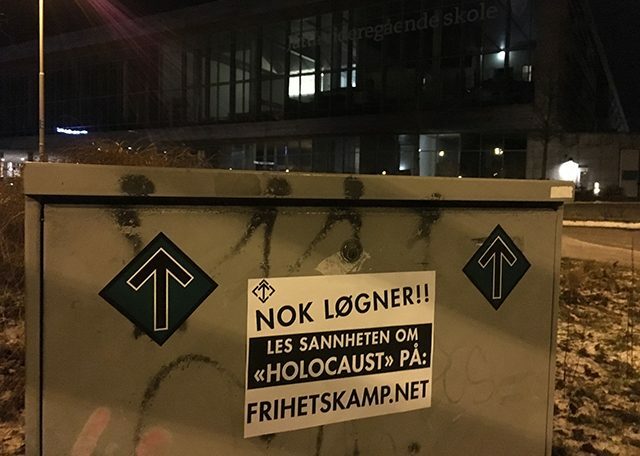 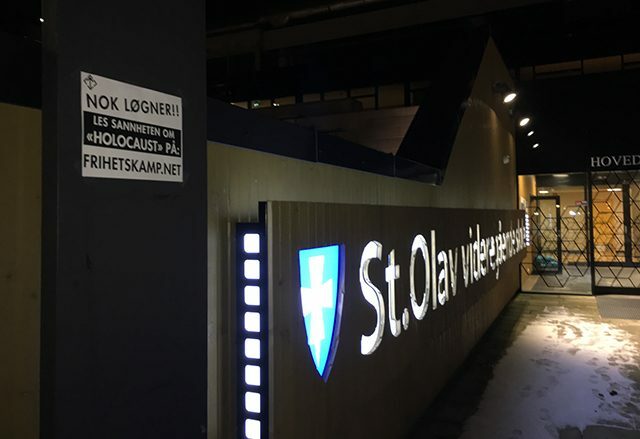 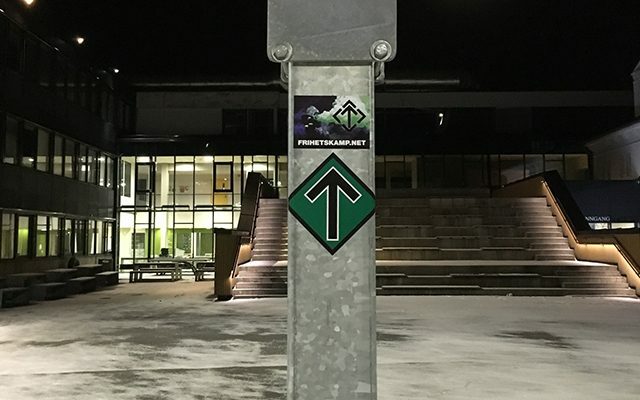 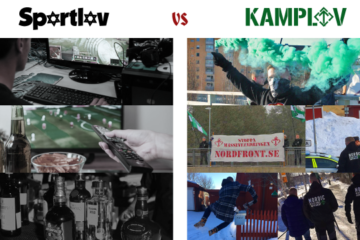 ACTIVISTS FROM THE Norwegian branch of the Nordic Resistance Movement marked International “Holocaust” Day with a series of activities in Rogaland and Hordaland over the weekend. 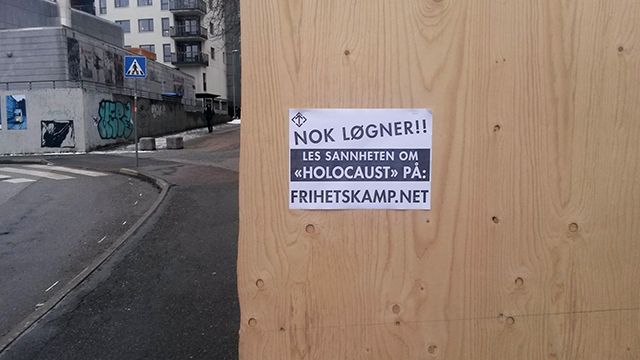 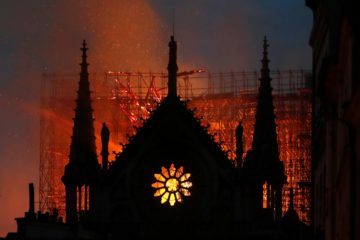 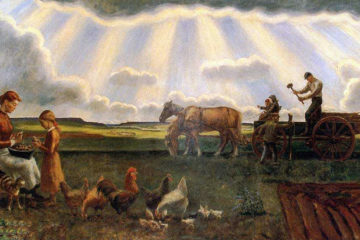 The activism aimed to spread the truth about the “Holocaust” and coincided with the official Holocaust Day on 27 January. 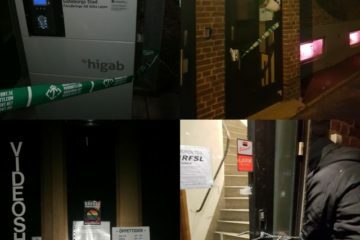 Nests 3 and 6 took part in the activity. 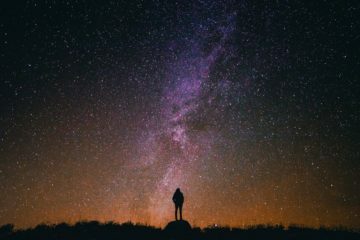 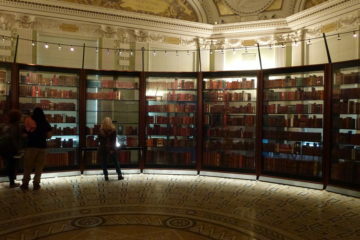 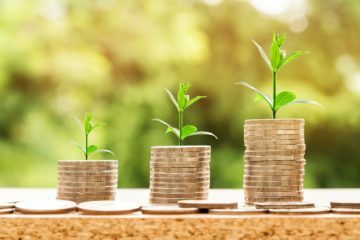 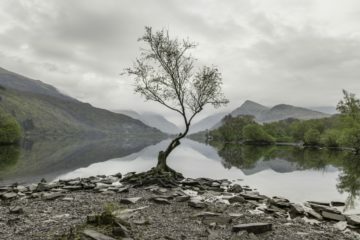 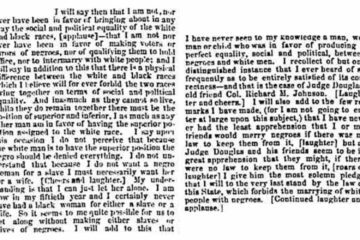 Here follows a short report. 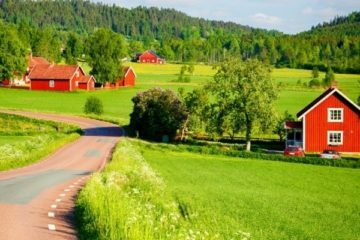 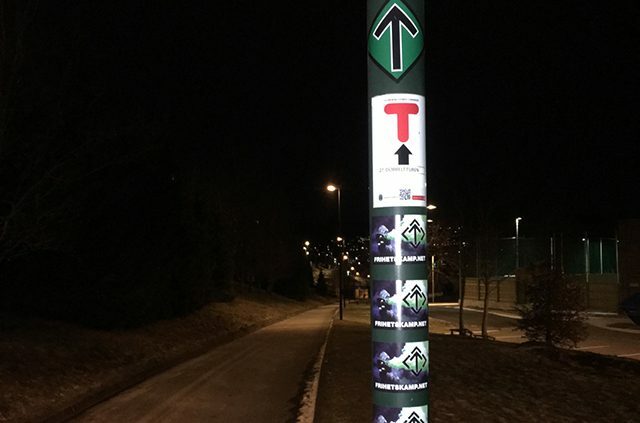 The first activity was held on the busy E39 road near Bergen Airport. 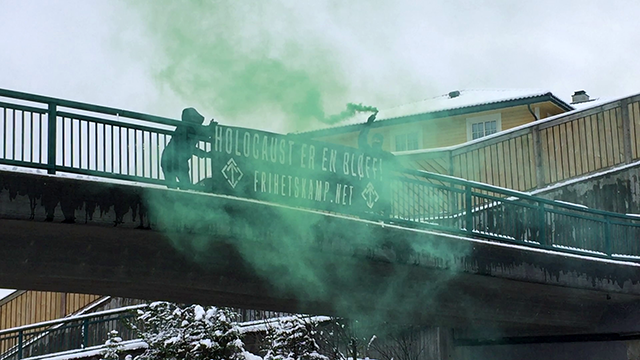 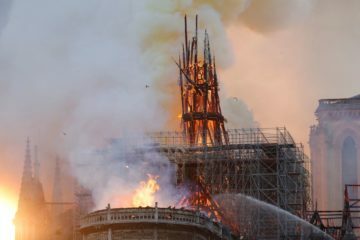 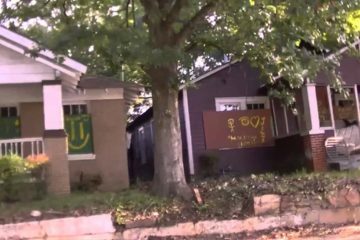 A large banner with “The Holocaust Is a Hoax!” was displayed while green smoke grenades were ignited. 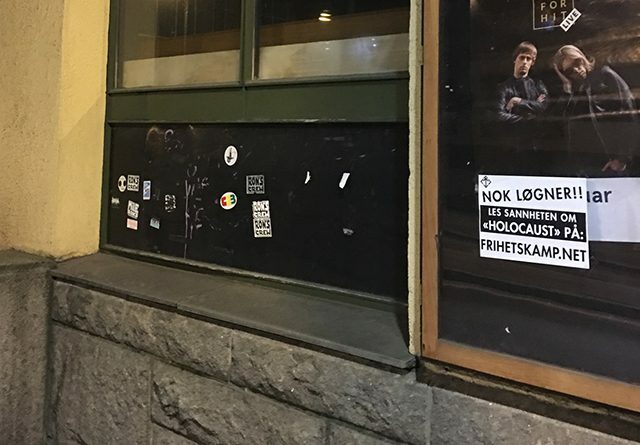 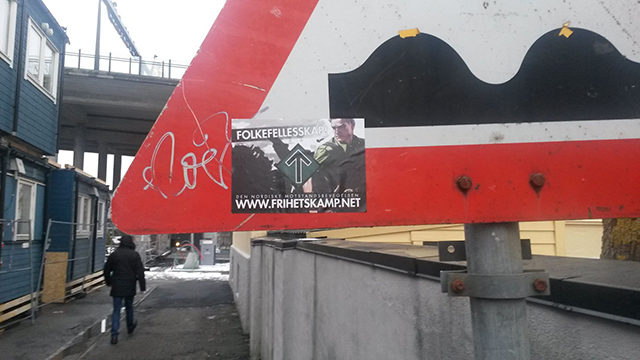 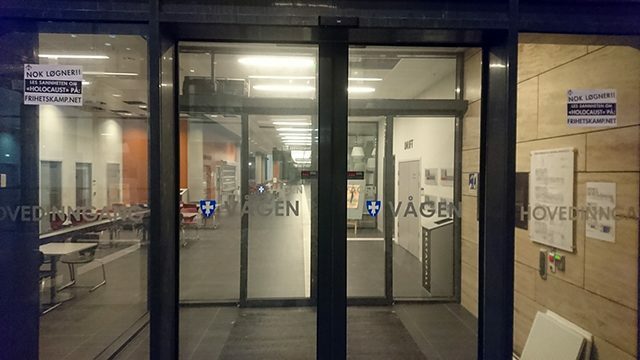 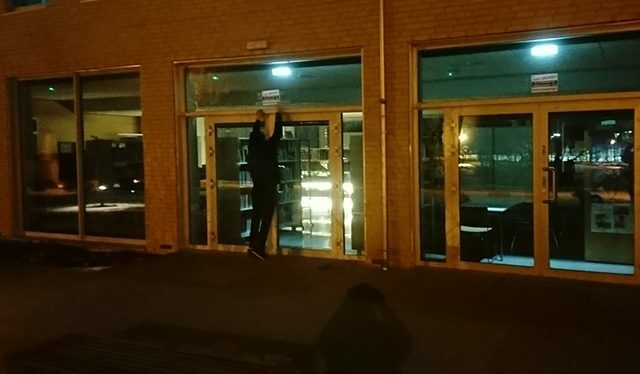 Afterwards the activists moved to central Bergen to clean up anti-White propaganda and replace it with the Resistance Movement’s. 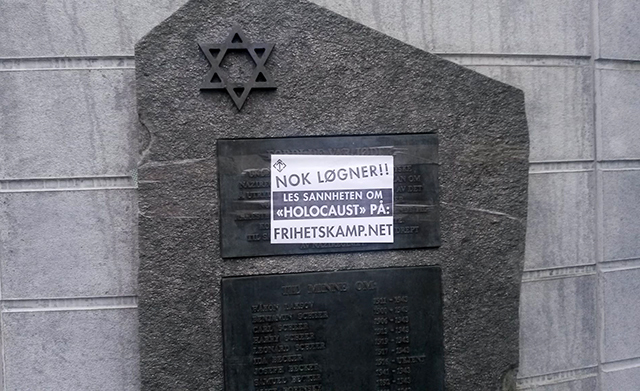 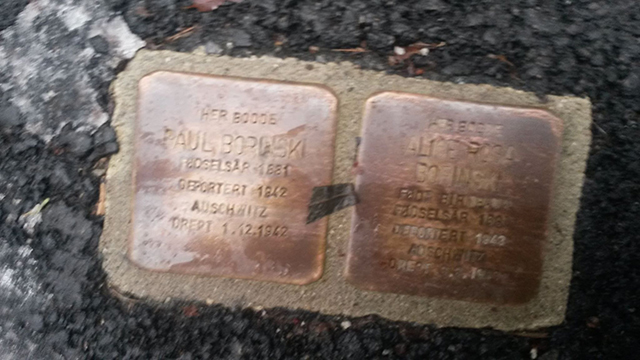 A lot of the material was spread in Møhlenpris, an area with a number of memorials and so-called “stumbling stones” connected to the “Holocaust”. 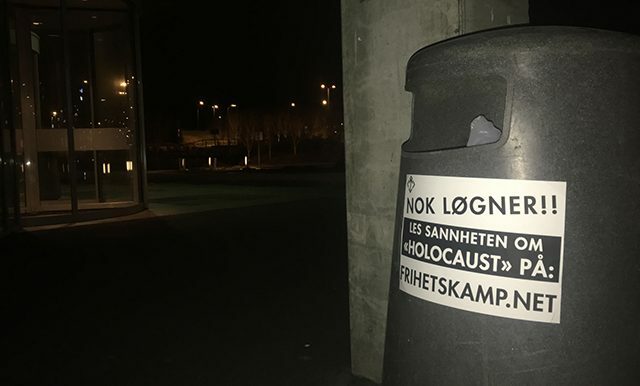 In Rogaland the activism focused mainly on high schools, as these are often prime locations for obligatory “Holocaust education”. 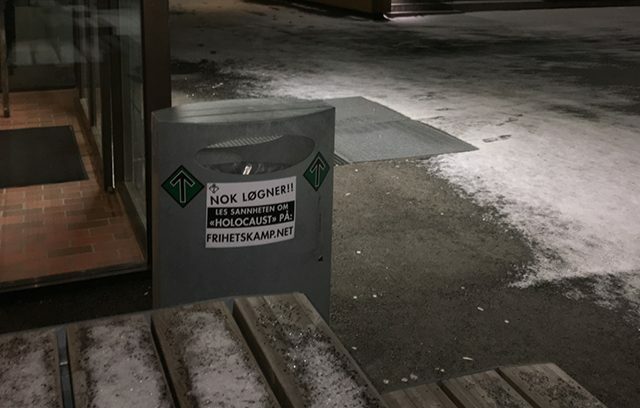 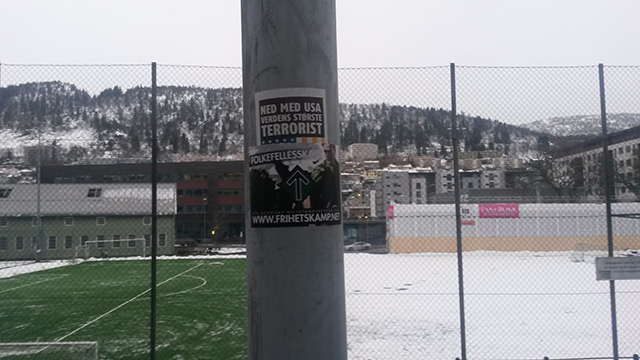 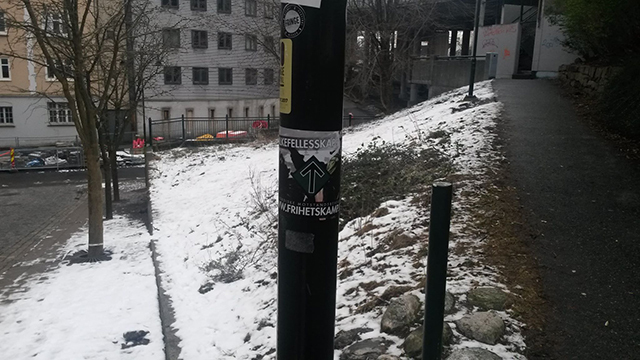 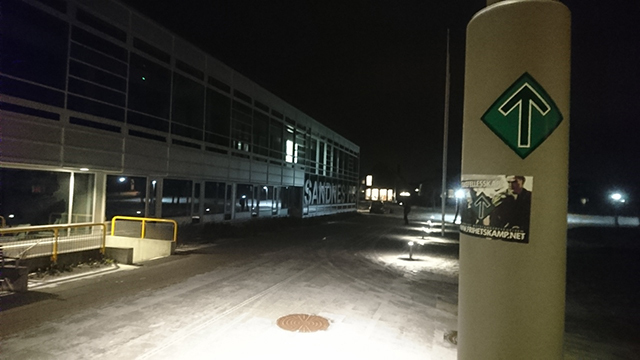 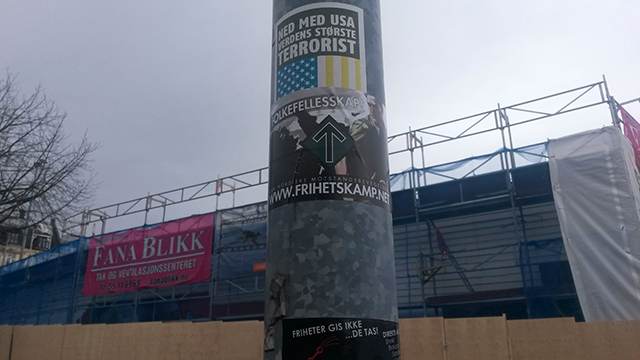 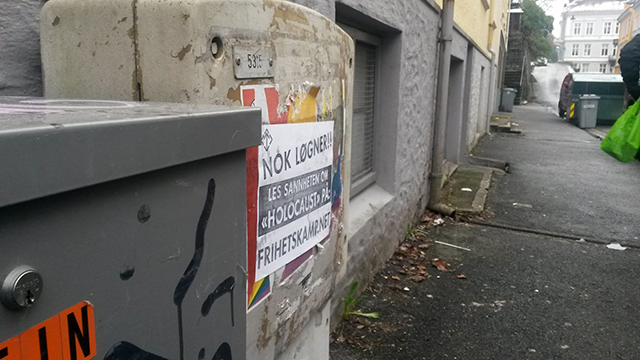 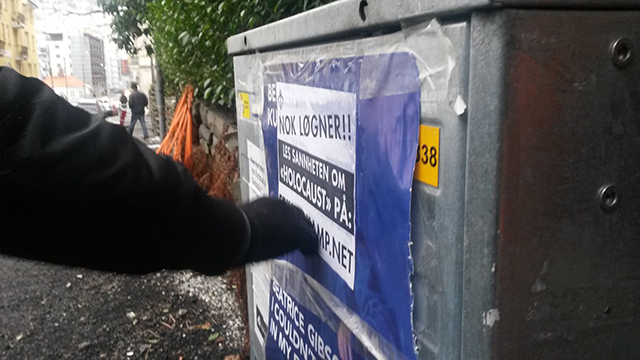 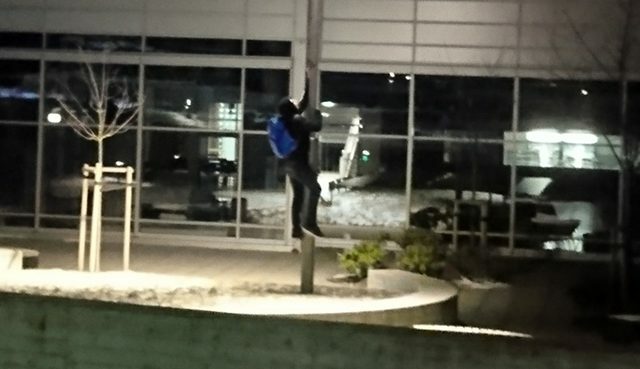 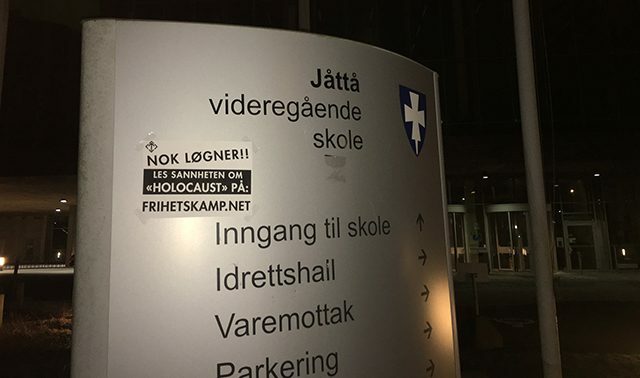 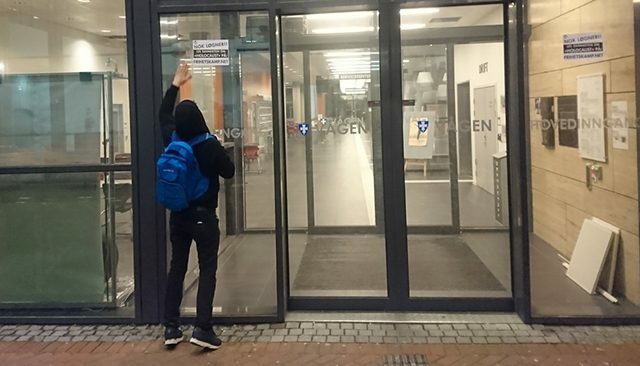 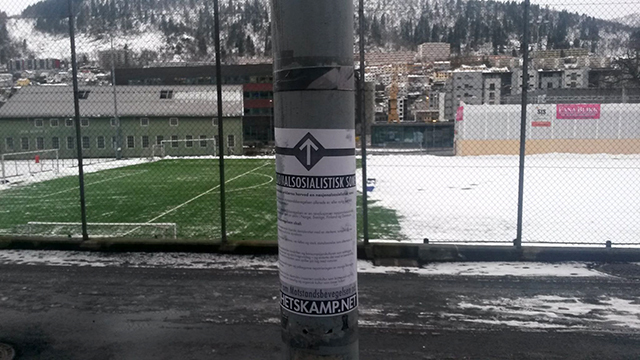 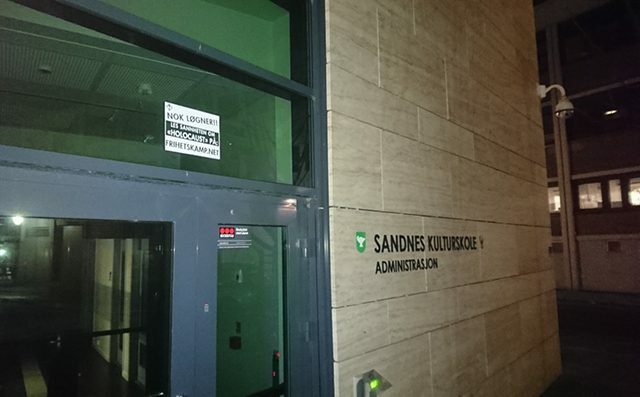 Six schools in Sandnes and Stavanger were plastered with the Resistance Movement’s posters with messages such as “Enough Lies! 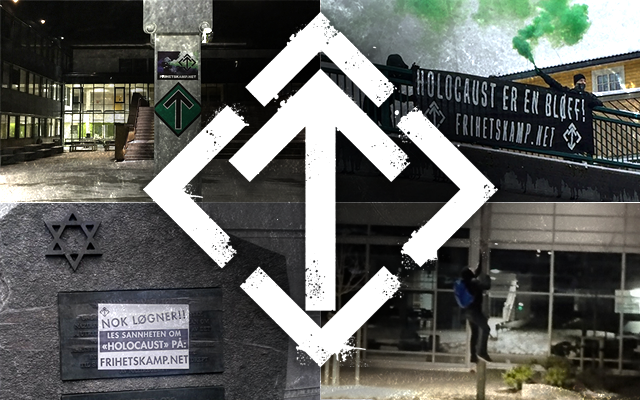 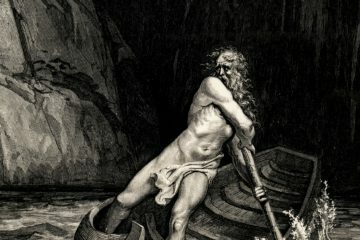 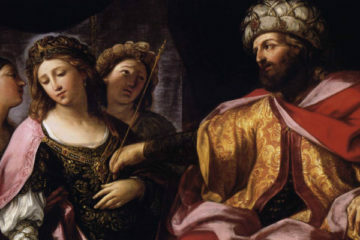 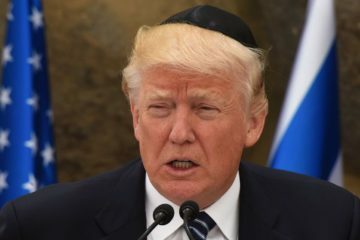 Read the truth about the ‘Holocaust’ on Frihetskamp.net”.